Here are some wallpapers that feature Reno. A few were made by yours truly, generally regarded as a very bad idea, but most were the generous gifts of visitors. They're here so you can download them, and so Shin-Ra can own your desktop as much as it does the rest of the world. Description: This is a wallpaper I made out of Libertine's first layout, featuring muted colors and Reno's infamous kick to Kadaj's head. The image is awesome, the wallpaper itself, less so. Kapow! 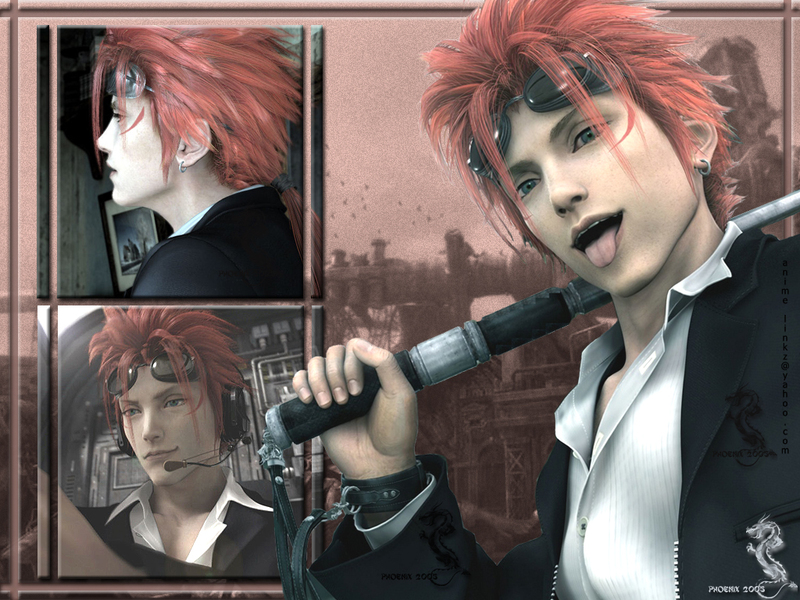 Description: A lovely wallpaper featuring Reno and his comrade in arms, Rude. You tell those Silver Haired Men, you tell 'em good. 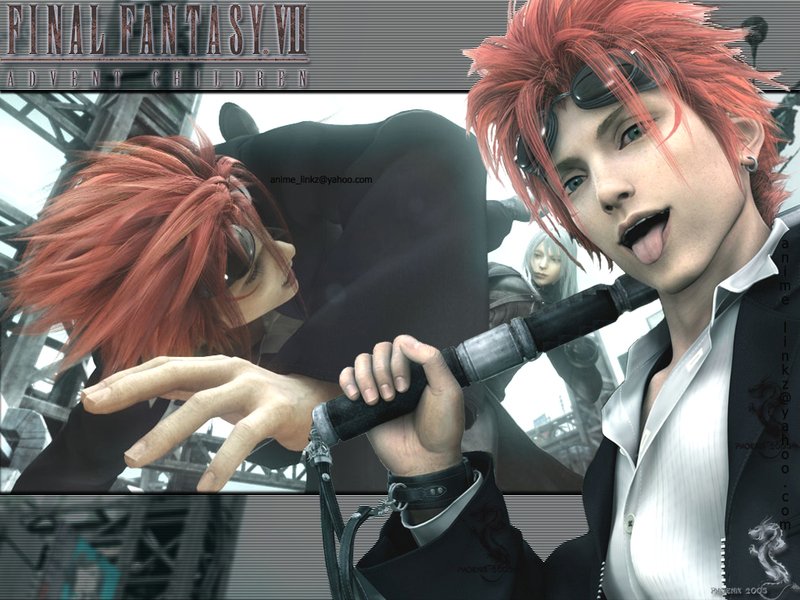 Description: Reno with his Electro-Mag-Rod-Whatchamicallit and Reno kicking a Sephiroth Clone in the face. 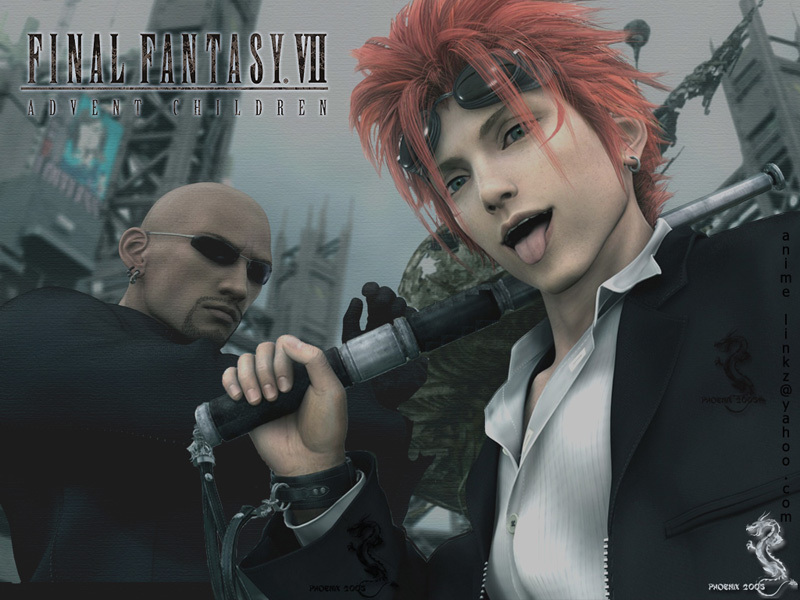 A very nice bit of art by SquareEnix turned into a very nice wallpaper by Phoenix. Description: Yet more lovely Turk flavored wallpapers brought to you by Phoenix. This one has Reno in several different poses, including a side view where you can really see his red scars/warpaint/markings. Yay.